After the launch and success in notebooks, motherboards, monitors, graphic cards etc. "Asus" the world's fifth-largest leading brand in PC sales, is now known for its mobile device zenfones under 3 categories 4,5,6 each distinct's with its size and features. Even though asus zenfones are the cheapest among its rivals like Moto G, Micromax canvas and HTC desire, there are no more compromise in terms of quality and reliability. Zenfones have several built-in utility features and user interfaces, which is missing in some of its rivals and even on high end/cost smartphones. And one such feature is that Asus customized settings which captures live mobile screen anytime with just a tap and hold. In common android device version above 4.0 have built in key controls to capture live mobile screen, which is sometime uncomfortable to be precise in pressing keys at time, hence Asus customized settings will let you capture mobile screen("what you see") in just a single tap and hold. 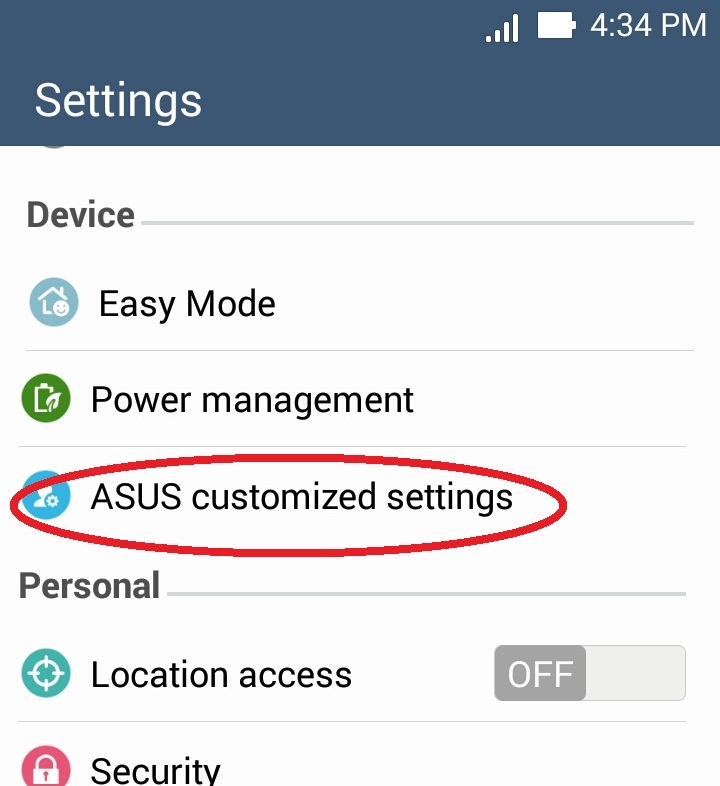 Tap down and select "Asus Customized Settings". 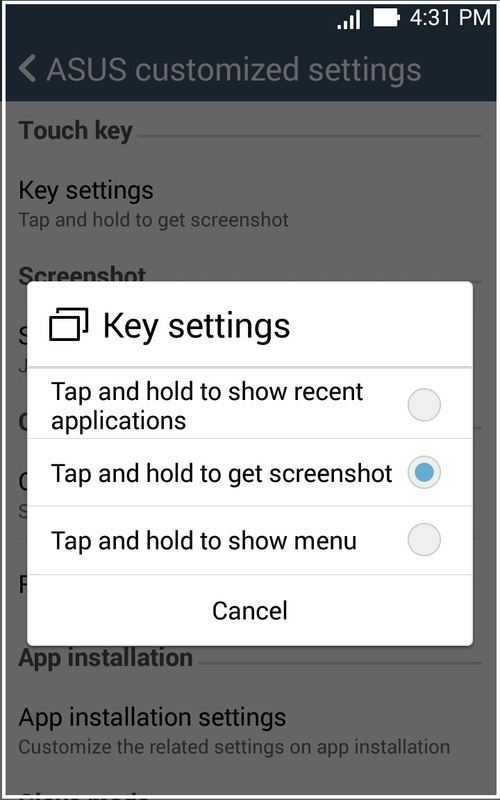 Click Key settings and select "Tap and hold to get screenshot" from option. Now tap and hold the recent application button at the right corner below to take screenshot in asus zenfones, an immediate shutter will let you confirm the image capture. Where to search for captured screenshot in storage ? The captured mobile screenshots will be stored in a folder named screenshots under internal storage. Just navigate to /Internal storage/ Screenshots. Also check notification bar at top for immediate navigation to storage. See Also: How to use mobile camera as Webcam for laptop and desktop.